﻿ Chicago Hispanic Newspaper, Lawndale News, Hispanic Bilingual Newspapers, Su Noticiero Bilingue » Bankruptcy, What’s It All About? April 25, 2019 1:07 pm You are here:Home Business Bankruptcy, What’s It All About? Bankruptcy, What’s It All About? Posted by Editor on March 24, 2016 in Business | Comments Off on Bankruptcy, What’s It All About? Bankruptcy has been in the news a lot lately, especially as one of the candidates for President of the United States is often being linked to filing several bankruptcies himself. For the record, he hasn’t filed bankruptcy. This article will help to go over the basics of each bankruptcy and get rid of a few common misconceptions. In the coming weeks, we will look at each Chapter more in-depth, but for now here is an overview. 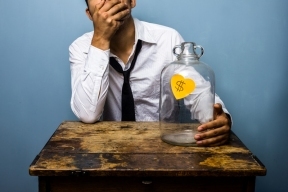 As a reminder if you are considering filing for a bankruptcy, you should talk to an attorney. Chapter 7: This is the most common form of bankruptcy. Individuals apply to the bankruptcy court to have their debts discharged. In a Chapter 7, you are generally claiming to have a limited amount of assets and your income is such that you cannot afford to pay your creditors back. One of the big misconceptions about Chapter 7 is that you will lose your house or car. This can happen, however, if you use an experienced attorney they can help prevent this. While Chapter 7 discharges most debts, some like tickets, student loans, child support, and certain taxes cannot be discharged. Chapter 11: This chapter is often used to reorganize a business (this is where Mr. Trump’s name is associated) but in rare cases individuals can file under this chapter as well. Generally, these are individuals that have very large debts and/or assets but are trying to reorganize. Chapter 12: This chapter is similar to a Chapter 13 but for Farmers or Fisherman. Chapter 13: This chapter is designed for those people with reliable income looking to repay at least a portion of their debt, over a period of 5 years or less. A plan is created whereby an individual (or married couple) makes monthly payments which are distributed to their creditors. This chapter is particularly beneficial if you are behind on a house or car and worried about foreclosure or repossession. Additionally, Chapter 13 can cover more debts than a Chapter 7. Tickets, tollway violations, taxes, and back child support can all be managed and potentially discharged in a Chapter 13. Many people are scared of Chapter 13 because they believe they have to pay every creditor back in full. However, often many creditors can be repaid at ten cents on the dollar or less. If you would like more information or to discuss options including debt settlement or bankruptcy, contact us at 312-767-0111, via email at News@zaplawfirm.com or on the web at ZAPBillsNow.com.